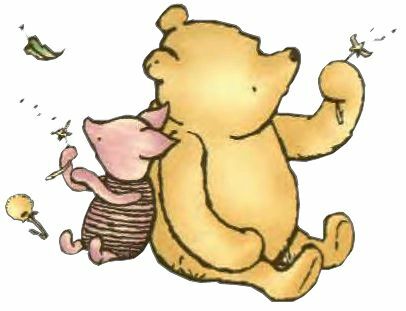 Today we celebrate the birthday of an author who has brought so much joy, education, and wonder to many people’s lives. Today we celebrate the gift of imagination and creation in ways that started in the minds of us as children, and who hopefully we have continued to bring to our own children as we grow up and expand our own families. Today we celebrate the great Theodore Geisel, who we know by his stage name, Dr. Seuss. This man created wonders and worlds for me as I was a child. He is one of three authors that I hold in high regards because of their ability to create complete worlds from nonsense, alongside A. A. Milnes, and Lewis Carroll. These men generated my imagination, and allowed me to escape to worlds that for some reason made sense to me, worlds that were simple, yet vast, and as imaginative and amazing as they could be. Dr. Seuss, like Charles Schulz and Walt Disney, influenced my childhood in ways that i don’t think I’ve fully understood even yet. As an adult, I still fall back to their works, whether for nostalgia or escape I am not sure, to remember that it is okay to still imagine, to create, and that no matter how old we get, it is that childlike imagination that I think keeps the world moving. As we get older and stressed with work, bills, and every day stresses, I think we forget these things. We forget how to imagine. We forget to leave the stress behind. We worry more about what people think about us, and what the future holds. Maybe sometimes we need to remember these moments, and forget being an adult for a minute. Here’s to you Theodore, may your phrases and characters always have us remembering childhood. I always wanted to stand out. Be extraordinary. Be outside the boxes of our culture. To not be boxed in, or bound by labels or ideas. I wanted to change the way the world viewed things, and not be afraid of the consequences. I wanted to help people see things that they may not have seen otherwise. That was what I wanted. It’s what I still want sometimes. I think it is what most people my age and younger feel. We are all the generation that was told we could be anything we wanted to be, and do anything we wanted to do. Some of us want fame and fortune, others that great adventurous love that was shown in Disney cartoons, and some wanted to be the next great generation to change the world and make it a better place for everyone in it. Some of us are doing it. Some of us are making it. They’ve taken chances and made the world a great place, or seen the great places the world has to offer. Others are teetering on the ordinary life that makes each day go, and the extraordinary that makes stories happen. I live on that teeter, a fence that I spend much time on trying to decide what side is best for me. Mostly because I find myself too full of anxiety or fear about what would happen if stepped into the unknown and let chance happen. I’ve taken so many chances in my life, and pushed myself into a career I honestly thought I’d never get into, but I still feel that i’ve done very little or taken so few chances. I’ve tried to break free from fears. I’ve attempted to recruit help in a way that will one day stick, one day last, and I’ll take adventures similar to those of Cheryl Strayed, or be as carefree as Jack Kerouac, to be my own person with little fear and little hesitation. To walk up to a stranger with the ability to carry on hours of conversation, and not stand like a shy wallflower waiting for the world to happen around me. To see the world, I must start with a step in a new direction, and to find excitement and adventure, I must first be willing to not be afraid of what could happen, and embrace it instead. If you need some people who took control of their own, here’s a nice little list. There is a thought that constantly enters my conscious, about how it is that we affect those we interact around. How it is they see us, what it is that we bring into or take from their lives. Much like Jimmy Stewart’s character in “It’s a Wonderful Life,” we don’t see how our character can change the course of those lives we connect with daily, for both the good and the bad. Do the ones we think we’ve hurt see it the same way? Do those we think love and care for us really feel the same, or is it an illusion that we create in our minds? Would they miss us terribly if we were gone, or would they even notice after a small amount of time? There are moments I wish people would just tell me everything they think about me, as if i’m sitting through my own Wake, having the chance to say the things they never go to beforehand. I realize the morbidity in these statements, but there are moments when I need to hear those words, and yet, at the same time, terrified the perceptions will be so different from what I assume, that I cannot bridge that gap. Are we the person we think we are? Or are we seen as someone completely different? I’ve heard people talk about how much good they do, or try to put into the world, but the world only sees them as selfish or misunderstood. Others who assume they are worthless and a burden to all who are around them, but are seen as a kindhearted person who everyone wants to be around. Our perceptions of ourselves and the perceptions of everyone else are often so different. The shy person gets called hateful or stuck up because they don’t talk in crowds, the social butterfly a player or flighty because they must work the room. Perceptions are our own. Sometimes they are correct, others completely wrong. 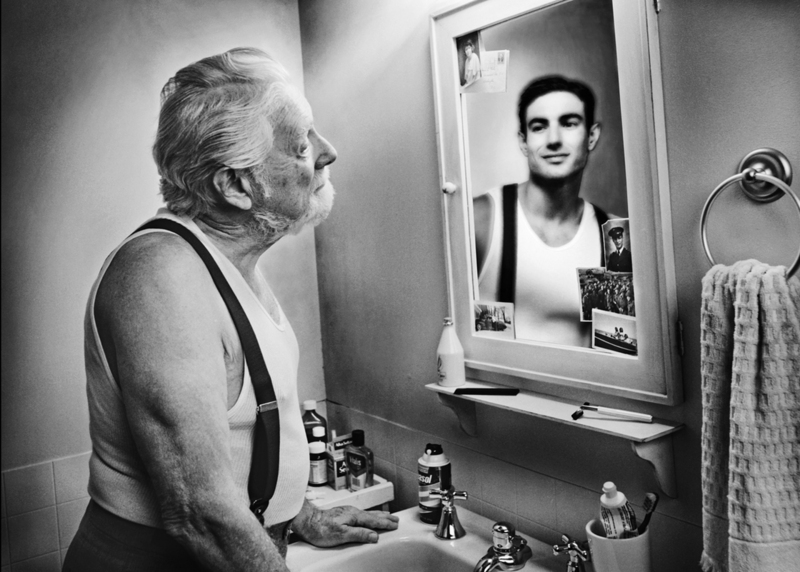 What the mirror shows, and how the others see the mirror are often different. Welcome to the funhouse guys. Let’s see what mirror we all stand in front of. Over the past few months, I’ve been tasked with reexamining what it is to be in different types of relationships. I’ve always observe how we interact, who it is we become attached to, and why some go by the way side, while others we will fight tooth and nail to keep the relationship going. I’ve always been a loner. Not that I haven’t had people around me, I’ve just always been guarded as to keep from getting hurt. I found that by not letting people in, and only allowing them to see the softer sides, then I would be fine and make it through. As time moved forward I found that there’s a longing for something real, something deeper. Growing up I was always fascinated with the relationship between Cory Matthews and Shawn Hunter on Boy Meets World. I found it intriguing to see two people so intertwined into each others lives that to not have them there would almost tear them apart. I’ve always been scared of relationships of any kind. I’m an interesting personality. I think that I”m someone who, although people think I’m an open book, is hard to get to know. I hide parts of myself as to not offend, but I’m also terribly blunt in cases that I shouldn’t be, and find that I often find it very easy to offend people and push them away. When people get close, I expose the darkest parts of my personality, almost in an effort to see who will stay, and who will leave. This year, I have reexamined so many types of relationships. I’ve realized who I let in close and who I don’t. I don’t throw the phrase Best Friend around to everyone I know. Three people hold that title in my life currently. Maybe these people change as we change. They come and go in life, as we move and life changes. There is always the hope that several stay no matter what. And I’ve now realized there are people who I want to spend the rest of my life with. I want them to be a part of everything in my life, who i share every laughter and tear with, and who I grow old with. They may not be the future spouse, or the person who you ever have romantic feelings toward. These I call “Soul Mates.” They’ve become the people who know me intimately on a soul level, who knows what I need when I need it, and hopefully are there for me in the same capacity I am for them. These are the people I want in my life more of, and to stop pouring myself into people who don’t seem to matter. I’m learning in 2015 to be happier with myself. To be with the people who matter, and be around the people who appreciate me for me, and I them. In essence, I don’t fully know what that will look like, but I believe that it will be a better year if I do so. That doesn’t mean I’m rebooting everyone. There are people so close to me they could crush me if they wanted to, and they know that. Lately, i’ve found myself pondering and wondering. 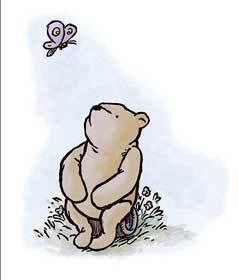 Much like Winnie-the–Pooh, I find myself thinking “thoughts of the day.” Yet, unlike our dear friend Pooh, I overthink each action I live out, each person I encounter. I live inside a world of what-ifs that often take over my brain. The thoughts press together so compactly that they often begin to merge into others, blurring the lines of which thought was original, and which even has ties to reality. Much more complicated that a bear who’s head is filled with fluff and stuff. I find myself questioning choices made. Choices in my career, choices in who I spend time with, in how I’ve spent my time in general. I find myself itching to travel because I’ve done so little of it (mostly because I hate traveling alone, and fear spending the money to do so). I don’t like doing much alone. It’s part of the extrovert in me. I’m a quiet extrovert. A shy socialite. I don’t do well being alone. I need to be around people to feel energized, to keep the anxiety at bay. But, I feel a recent calling to do more of that lately. To quiet the noises around me, and focus on the ones that I truly need to hear. I used to think I was consistently looked over. It seems to carry shadows of itself throughout my life. In college I called these Shadows, ATMS Disease (Afraid to miss something). I always felt that I was missing out on something amazing, that when the rest of the world was off having fun, I was stuck at home forgotten. I would hear about these great stories or adventures other people where having in their lives, and I found my own life to be less than par, to be boring or adrift. Even today, I find myself occasionally feeling the same. My mind and body itch for adventures, something outside of the norm, to throw caution to the wind, jump on a flight, land somewhere new, and take on the world around me. Instead, I stand still, afraid to take a step alone and find something. I don’t want to live a life of adventure alone with no one to share it with. Instead, I yearn to have experiences with others, to share in the joy. I don’t enjoy stories that don’t involve other characters. I find that by adding more characters, the story lives longer, the details get forgotten less easily, and the plots become more elaborate. TV Shows do better when there is an ensemble cast, not a solo character. There is a plague I see grow. It is a plague that quarantines the individual, isolates them into a cage where they cannot be helped. And they put themselves in this situation. This plague I’m referring to is victimization. You are always the victim; you are always the one wronged; you are always the person everyone picks on and takes advantage of. It never ends. It is a ferris wheel ride that keeps turning, and the victim just keep riding around, and around, and around, and around. The victims never take blame for their actions, instead finding ways to excuse them away, whether true or not. There are countless ways for the stories to be weaved where no one knows who is in the fault anymore. I’ve fallen to this disease, like everyone else a time or two. Convinced I was wronged, kept from achieving goals I felt that I deserved, pushed out of the way by people who thought they were better than me, and struggled to find a footing with people I thought i needed to be around. Then I stopped feeling sorry for myself so much. I woke up to realize the truth in the world that there is not a power struggle against you and everyone else. I began to see what I wanted in this world and worked toward it. I pushed beyond my physical or unskilled limits, and began to work for what I wanted. And I did not let some one make a victim out of me. When I fell, I got back up and tried again, harder. When I was told I couldn’t make it, I evaluated the situations to see if the were right or not, and how badly I wanted it, and decided whether to continue fighting, or choose a different path that would be better. Somewhere in the birth of GenX and beyond, we were told we could do anything, and the world was ours. We were all given a trophy for showing up to a sport and sit on a bench. Some where told they’re rambunctious life was a result of a defective brain that made them hyperactive and were put on medicine. We were told we were stupid if we did not understand traditional learning. We are convinced the world revolves around us and our needs, and when we aren’t given what we deserved, we are being wronged. When we don’t get the promotion we deserve, we attack our bosses. When we don’t make our dream job by 30, we think the world has held us back. This is a plague we much vaccinate. We must stop its spread. It will always exist, but we much contain it as best we can. It begins with small changes. It begins by standing up for what you want and who you are. Stand up for what you believe this world can do. Stop finding fault in everyone around you in an efforts to cut them down, and stop treating every encounter as an attack. Find your strengths and build them. Work hard. Be nice. Find something in life you enjoy. So, victim, go live. Live with passion, and fight for you passions. You’ve got this, and when you stop and look, you’ll realize others have you too. Last April (2013), I walked into a Crossfit Box close to my house, signed up, scared out of my mind, and joined the ranks of a fitness revolution. Or cult, as how many people not involved refer to it. I did not grow up working out, trying to stay fit, or lose weight. Naturally lean, I just lived an active lifestyle, moved with the speed of any ADHD teenager, and played games like Ultimate Frisbee and tennis for hours. As I approached 30 though, I realized I’ve never like the way I looked. I always felt too thin, too scrawny, and no matter what I did to try fixing it, I couldn’t get the results I wanted. Granted, walking into a gym I was intimidated, nervous of making a fool of myself, and terribly uneducated in what needed to happen. I’d put it off for years because of fear and intimidation. Go into any gym, and you’ll see the oversized gym rats, way more fit than I’ll ever look, and even though they aren’t there to judge you, you feel in your soul they are. When you try to obtain information, whether through friends or online, you get bombarded with an array of information. Some of it great, much of it terrible. And it’s your choice to choose, unknowing, which will be best for you, and what won’t kill you. After learning about CrossFit from a coworker, I looked into it. It terrified me. But also intrigued me enough to spend a year preparing myself for what i thought it would be like. I was wrong on every account. Spending a year lifting weights, running, and thinking I was getting myself in condition for CrossFit was a waste, because once you walk into that box, and you hear “ 3-2-1 Go”, you’ll realize where how weak you are. You’ll be driven to your knees from exhaustion, out of breathe, and look like you are about to see your last meal again. And I wouldn’t do a work out any other way. Twelve months. That’s all I’ve done in this box, and it wasn’t easy. I wanted to quit, I wanted to stop going because I felt weak, I felt unconnected with these people I worked out with. I felt I wasn’t progressing any better than I did at the YMCA. Then I watched a local competition. At that moment it all changed. I realized what a body can do. I realized that to do this takes time, patience, practice, and effort. You realize to listen to the right voices in you head, and shut the bad ones up. I leaned what I was capable of mental and physically. You care less about what your body looks like, and more about what your body can do. It becomes less about the weight on the scale, and more about the weight on the bar. I pulled myself into a community of people who encourage you beyond what you think you’re body can do, and force you to go one rep more than you think you can, or 10 pounds heavier than the last one. We see the potential in each other, not just in how much better we can lift, but in how much better a person we can be. It becomes a starting point for being a better you. It became a starting point for me to be a better me. I went in wanting to look better and feel better about myself. Instead I found out more of what I was made of. I found myself at the bar. Am I where I want to be? Not by a long shot. But am I better than I was? Completely. In the past 12 months, I’ve switched careers, worked a reality show, did a CrossFit Competition, Completed a Spartan Race (4+ miles, 15 obstacles), accomplished the CrossFit Open WODs and survived, and I’m still going. I need to get stronger, I want to be stronger. And I’ll get there. Mentally, spiritually, and physically. I stepped into a box to change what I didn’t like about me. Instead I found out more of what I was made of. I found myself at the bar. And I lifted it.